Every girl and woman should be in charge of her health and her future. Yet according to the United Nations, approximately 800 women die every day from complications related to pregnancy and childbirth. Most of these deaths are preventable – a clear sign that we have a lot of work to do to ensure that women have the tools they need to stay healthy. Knowledge is power: When women are armed with knowledge from mobile messages, they gain voice, choice, and control over their health. Health information via mobile technologies can provide early warnings for potential problems, dispel myths, share tips, and connect mothers to health services. 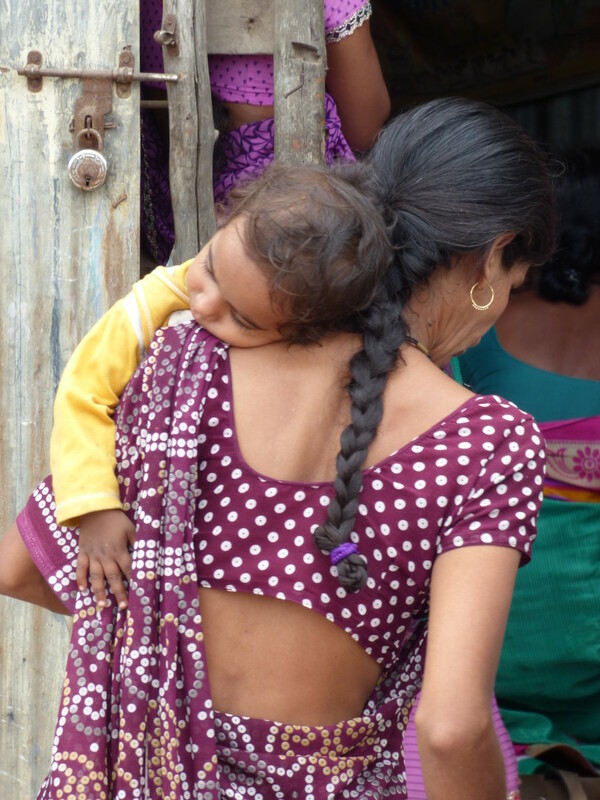 Sarita, an underweight pregnant woman, also receives health messages through MAMA’s India program and is making efforts to eat healthy and gain weight. 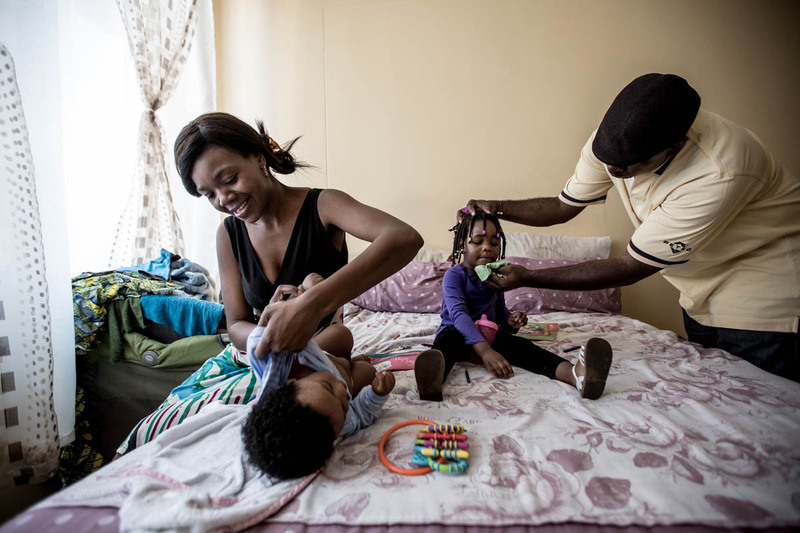 Sharon, a mother in South Africa, remembers her earlier pregnancy with her daughter as a lonely and difficult time. During her next pregnancy, she enrolled in MAMA’s program and says the information brought peace of mind for her and helped change her husband’s behavior, too. These are a few of the more than 2 million women and families who have benefited from MAMA’s work. I recently had the opportunity to speak with MAMA’s Executive Director Kirsten Gagnaire about what she has learned from mothers around the world. Question: You’ve met mothers from so many different places. What have they told about their hopes for their children’s futures? Kirsten Gagnaire: I’ve met mothers in my capacity at MAMA and also as a mother myself. Whether we live in the United States, Bangladesh, or South Africa, we all want the same thing as moms: to have the information we need to keep ourselves and our children healthy, so they can reach their full potential. Q: How have the families you’ve met shaped your work and your vision for the future? KG: They completely motivate me and sustain my belief in the importance of tangible, timely, and culturally-relevant information about health care decisions and needs. Giving women this kind of information is a stepping stone to much deeper and broader empowerment. They realize how valuable and important the information is – and often, so do their families and communities. They start to feel confident and empowered about what they can do with information and the control that they have over their health choices, even if they are living in a situation where they might not have a lot of control in other areas of their lives. MAMA’s focus on putting information directly in the hands of mothers is showing results. Survey results from MAMA’s Bangladesh program show that compared to the national average, a higher portion of MAMA participants gave birth in a facility, attended at least four antenatal care visits, attended a postnatal care visit, and exclusively breastfeed – crucial steps that can improve the health of mother and child. The United Nations, MAMA, and partners are committed to strengthening the health of families. Our challenge and our opportunity is to put health information in the palm of every mama’s hand. You share, they give: Each time you ‘like’ or share this post via the social media icons on this post or comment below, Johnson & Johnson will donate $1 (per action) up to $300,000, to improve the health and wellbeing of moms and kids worldwide through MAMA, Shot@Life, U.S. Fund for UNICEFand Girl Up. $1 provides 1 month of targeted health information via mobile phone for a mom in India through MAMA (Mobile Alliance for Maternal Action).